Many of you will love this, and many will hate it: an international team of scientists says their research strongly suggests that dogs are smarter than cats. The article accepted for publication this week in the journal Frontiers in Neuroanatomy reports that the brains of dogs have more than doubled the number of cortical neurons – the cells associated with thinking, planning, and the complex behavior – than cats brains do. The team, which works in universities and zoos around the world, counts the number of cortical neurons in eight carnivorous animals, a large class of mammals that have teeth and claws that allow them to eat other animals. (This differs from carnivores, the much larger class of all animals that eat meat, including bears, raccoons, and seals). 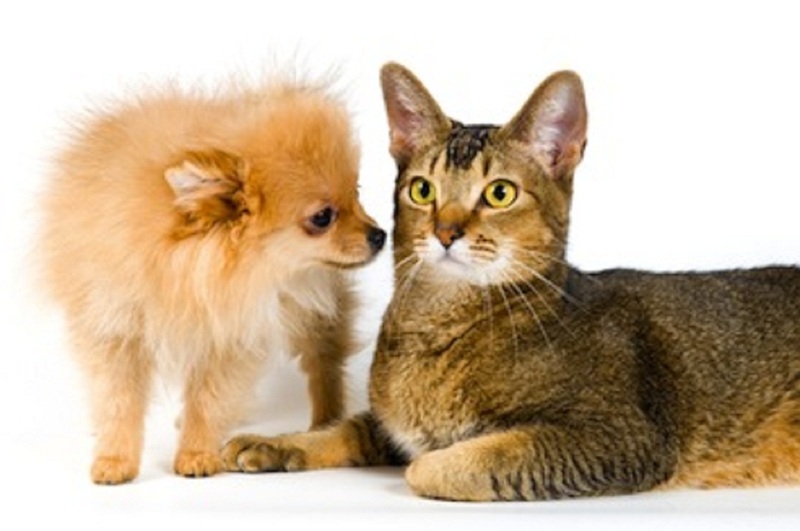 The researchers found that dogs have about 530 million cortical neurons, while cats have about 250 million. “I think the total numeral of neurons an animal has, particularly in the cerebral cortex, determines the richness of the internal mental state and its ability to predict what will happen in its environment based on past experience," said Suzana Herculano -Houzel , associate professor of psychology and biological sciences at Vanderbilt University, who developed the technique used by the team to calculate neurons. The study accounted for the physical brain size, evaluating the number of cortical neurons against the size of the brain they can cram into. It turns out that dogs have more sheer brainpower than carnivores with much larger actual brains, including brown bears and African lions. Why? The document puts it this way: "Large carnivores appear to be particularly vulnerable to metabolic restrictions that impose a trade-off between body size and the number of cortical neurons." In other words, once the species grows beyond a certain size, the energy needed to chase the meat is approximately equal to the energy that the species can consume. Because the brain uses more energy than any other organs, there is not enough leftover energy for it to continue developing, evolutionarily speaking. (The sweet spot seems to have been found by the raccoon, which has about the same number of cortical neurons as dogs, but in a brain only the size of a cat, according to the research). "Dogs have the biological ability to do things much more complex and flexible things with their lives than cats can." According to Herculano-Houzel: "Meat eating is largely considered a problem solver in terms of energy, but in retrospect, it is clear that carnivory must impose a delicate balance between how much body size and brain a species can afford. Think about it. When was the last time you saw a seeing-eye cat train to sniff out bombs? Herculano-Houzel Said: "I'm a 100% dog person." But with that disclaimer, our findings mean to me that dogs have the biological capacity to do more complex and flexible things with their lives than cats can. “At the slightest, we currently have some biology that folks can factor into their discussions about who's smarter, dog or cat."